While starting a new business, you might come across many difficult situations, and there are many things that you may want to reconsider. And these things may include managing cash flow, hiring employees, time management, develop marketing strategies, generating capital for business, clearing self-doubts, and many more. With experience and with the passage of time, you will find a way to deal with most of the problems. But all of your queries may not be solved. Some will require professional assistance. While running a business, some legal situations may arise where you may feel the need to take some legal advice. Under such circumstances, you might want to contact an attorney who can provide you with appropriate legal guidance and save you from any legal disputes. Why Businesses Need Legal Support Services? Legal services are required for the smooth functioning of your business. Working with legal experts gives you confidence and an assurance that you are doing things right. You can be assured that if anything goes wrong, you will be advised in the right manner. Having legal experts by your side also keep you away from committing any illegal work that can threaten your business. You might need legal assistance and experts’ advice if you are being sued for any negligence or any other reason. Legal matters are very delicate and you should not take them lightly. Any negligence shown during a legal case can cost you a lot. So it is recommended to seek legal advice while dealing with any legal issues. If you are embarking on a new business venture, you will have to register it with the local authorities. Applying for registration of a company requires clearance from various local departments and administration. If you are not familiar with the working of your local departments and are unaware of how government administration functions then getting clearance for your business from various government departments can be a hard task. Legal support services with the help of their skilled and experienced team will guide you through all the registration process of your business. If your business is doing great and you are looking for diversification of your business, then you might need some help in legal matters. Business expansion may sound simple and easy, but executing it well can be a challenging task. When you are expanding into new territories, you might be looking for new products and new services for your customers. And during that whole process, there’s a slight chance that you might miss on some of the legal formalities that come with it. Legal support services will guide you in every step of your business expansion, give you extra time to focus on your business, and ensure a smooth and fine transition from a small business to a big one. If you are shutting your business or making any modification in the existing policies, then these changes are required to be registered in your legal documents. You are also expected to notify the government which is done in a specific format. Other than this, you may require legal services in drafting certain contracts and documents that are done by following specific rules and guidelines specified by the Government. These government documents are critical and require a good understanding of law and order before submitting. Legal services will make sure that all your legal documents are correct and properly managed. Letting professionals handle your legal work will keep you confident, assured and far from any trouble. You can easily rely on legal experts with work regarding your legal documents. Running a business involves extreme care, but sometimes you may have to take a calculated risk. Nobody wants their business to go through any legal matter that can create a problem in the functioning of the business. But legal issues are hard to avoid and they can be troublesome and expensive if not handled properly. If you are facing contract disputes, then it is best advised that you listen to your professional legal advisor. Every year 20 million civil cases are filed, and 60% of these are contract disputes. These disputes can be costly and can cost a business a massive amount. 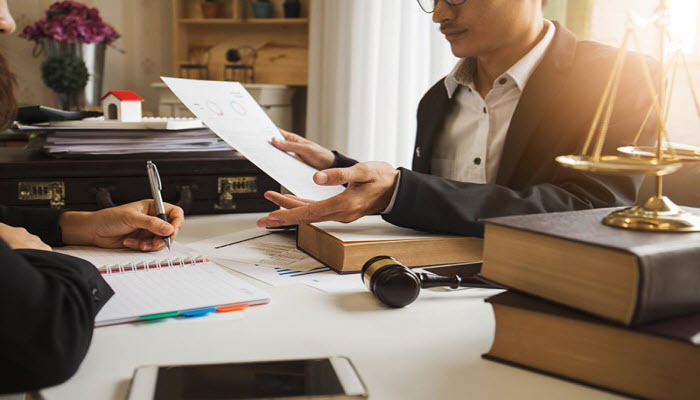 Under such situations, an attorney will guide you by providing appropriate legal assistance and will protect you from wasting your money on a big lawsuit. Trademark and logo serve as the identity of a business. So it would be best if you take extra caution while selecting your company’s trademark or logo, as copyright infringement can be an expensive lawsuit. Legal support will help you in personalizing your business safely and will protect you from violating any copyright and patent infringement. A company runs with the help of its employees. Employees are the most significant asset of a corporation. Its success, future and a lot depends on the performance of each employee. If your firm is having an issue with your former, current, or prospective employee, it is best suggested that you resolve these issues ASAP before they go out of control. An unsettled matter with an employee can turn into a lawsuit in no time. So it is better to take the assistance of your attorney and fix such issues before they affect the performance of your company. Drafting policies and terms require exceptional care and consideration. Any loophole in it can lead to a legal lawsuit. Seek help from a legal services providers to do so. Equity determines the value of a company and is essential to a business for its economic expansion. Many start-ups and established companies use stocks and IPO’s for investors to purchase equity in the company. It is a sensitive process and requires a legal investigation of the documents that are involved in the buying and selling of IPO’s and stocks. Hiring a legal professional will help you in carrying out such legal research and will also assist you in understanding your shareholder. Legal services are vital for any business if they want to thrive in this highly competitive business atmosphere. Any legal issue if not handled properly can disrupt the performance of your business and can hamper your growth. This can affect your business badly. It is highly advised that you take legal support services as it will help you in dealing with all your legal issues in a timely and appropriate manner.